The cards received so many compliments on their beauty and message, I decided to buy now to be ready for next Christmas. We liked the inside verse. Looks pretty, and very few with Religious message. Verse is beautiful and totally appropriate for the season. Reviews said good guality. I think pricing is good also. Christ is the reason for the season and not all cards reflect this. 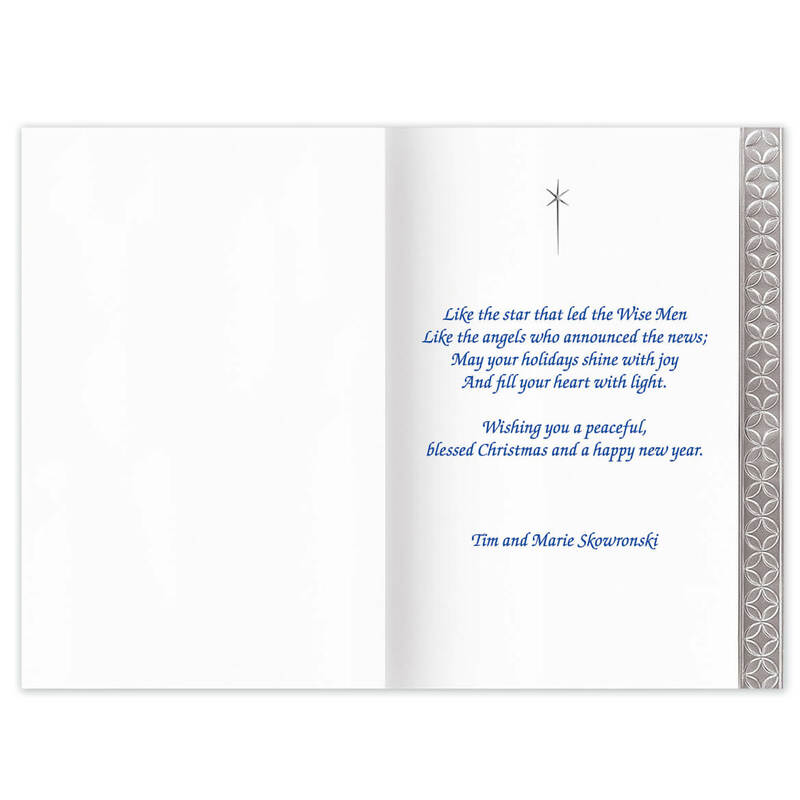 The cards are beautiful and the verses are very nice and I love the fact that you can personalize them. 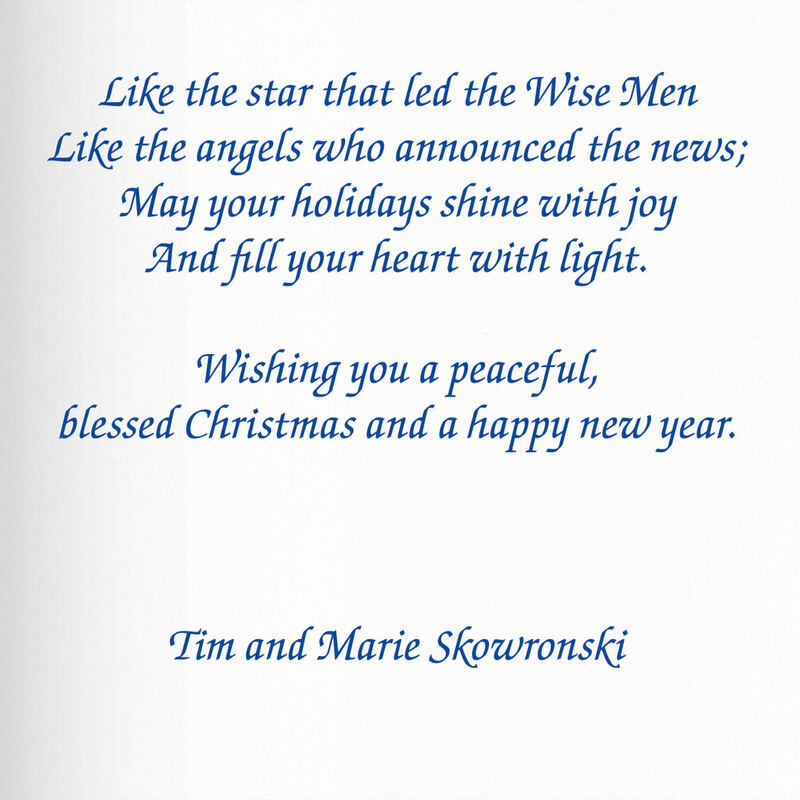 I have shopped for my Xmas cards from Miles Kimball on and off for many years and have been a happy customer. I work for a church so try to send religious cards. I bought these last year, and found them to be the epitamy of Christmas. I liked it because it mentions God's presence in the message of the card. This is the kind of cards I like to buy. 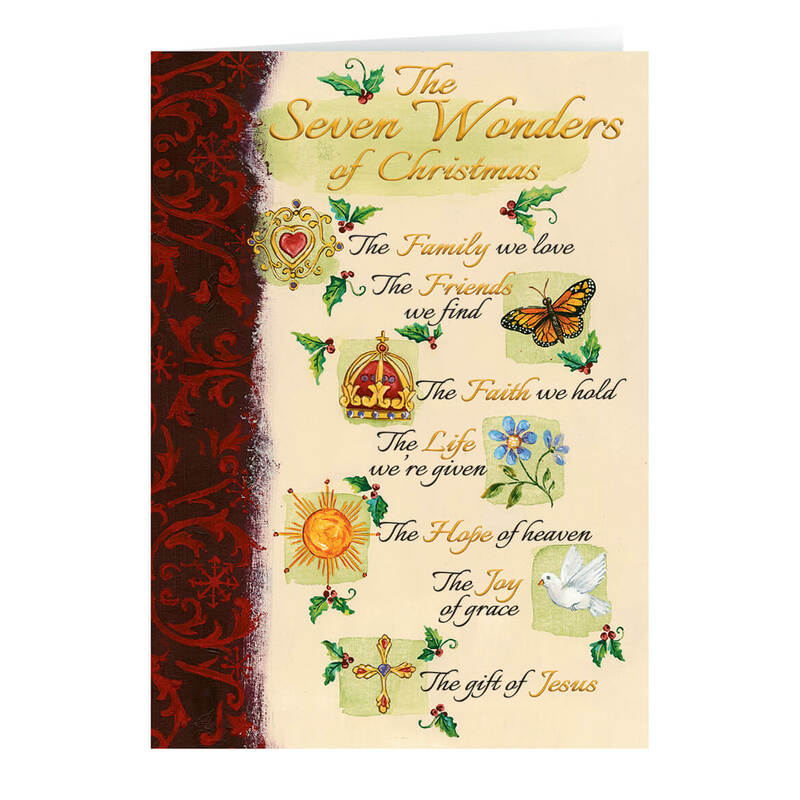 Our family sends out religious cards, and feel that these are a good quality for the price. 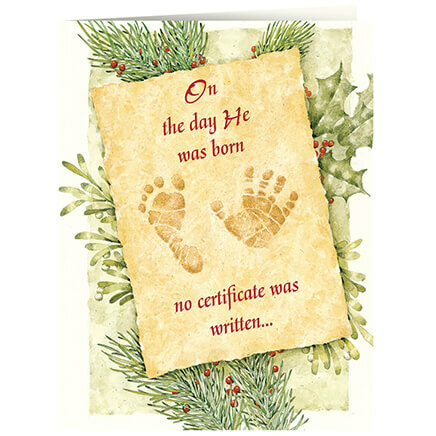 it is a traditional Christmas card that is hard to find in stores. I can only find beautiful cards at Miles Kimball. 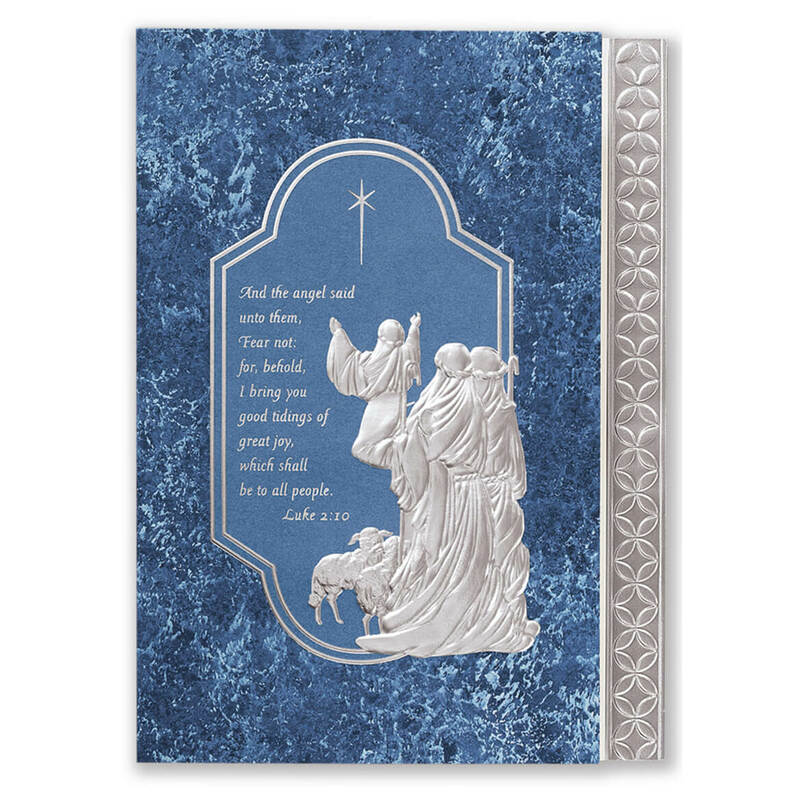 Beautiful religious card with nice words. I always want to keep the true meaning of Christmas, the birth of Christ, in mind. the quality of miles kimball christmas cards. how do we get the personalized cards? BEST ANSWER: Thank you for your question. These cards are not offered with personalization. We suggest you choose ones that do. We hope this information will be of help to you.